How to Backup Partition in Windows 10/8/7? 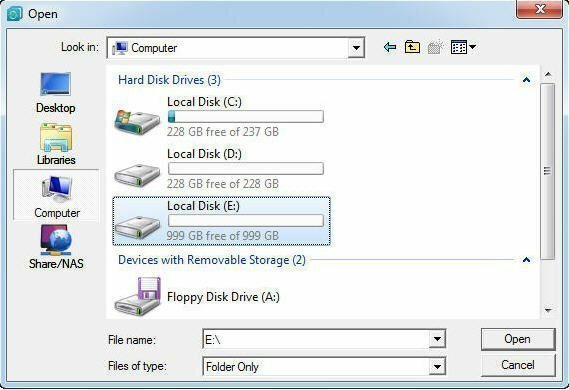 How to backup partition in Windows 8? If you want to backup a specific partition on your hard drive, here you can use AOMEI Backupper to backup partition in Windows 10/8/7. All computer users know that backup is the most important thing. And most people backup system once they installed system. Some users will backup hard drive entirely to keep the data safe. Have you ever thought that backup entire hard drive would take a lot of time and space? Indeed, you can put all important data into one partition, and backup the partition only. But how to backup partition in Windows 8? Backup partition only does really save a lot of time and space. But how to do it? Here we highly recommend you AOMEI Backupper, a great backup software that supports you backup system only, backup entire hard drive, backup partition, and backup files/folders, and many other utilities. It suitable for all Windows operating system including Windows 10/8/7. Using AOMEI Backupper to backup partition in Windows 8, or in other Windows operating system, here you can follow the steps below. But before you do, you need to figure out where to store the backup image. Another local partition, an external hard drive, a USB drive, or backup to NAS, etc. 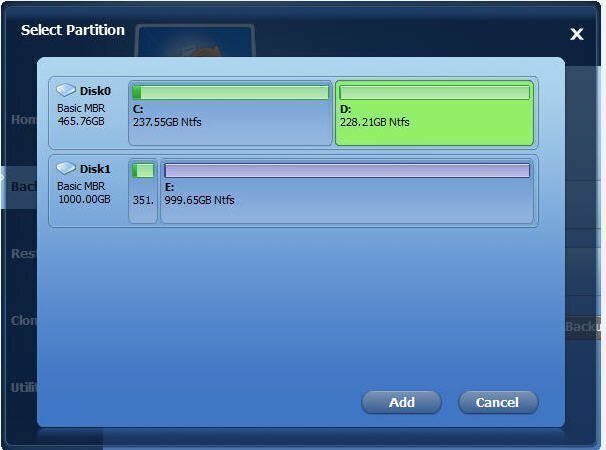 Here we take an example of backing up D partition to another local hard drive. Step1. Install and launch AOMEI Backupper. It will show you the main interface of this software. 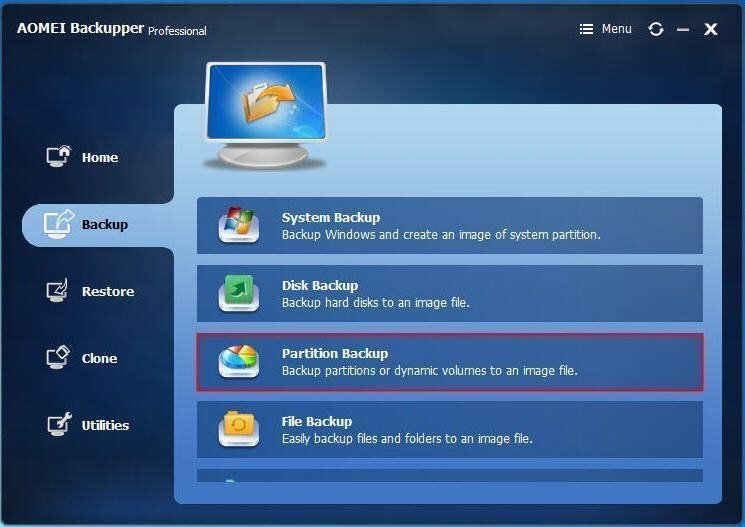 To backup D partition to an external hard drive, here you should click Backup, select Partition Backup. 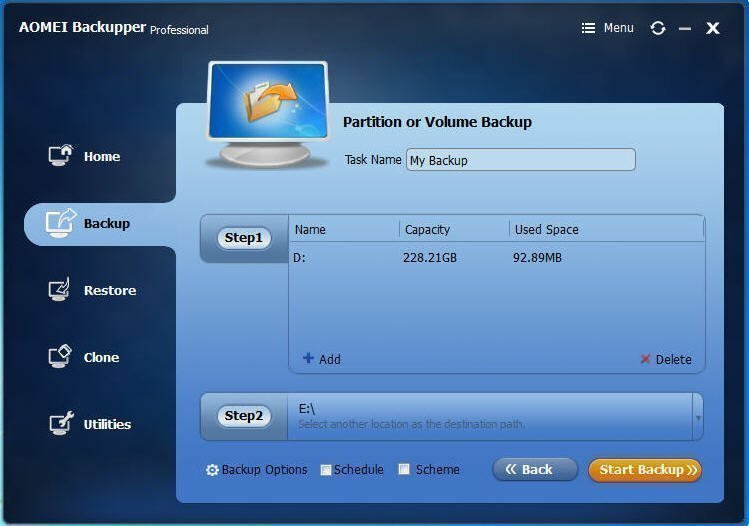 Step2.Click “Step1” to select the partition/volume you want to backup. Here we select D partition as the source partition. Step3. Then, click “step2” to select the partition E on another local hard drive as the destination place. Step4.If there is no problem, click Start Backup to execute the task. “Backup Options” is for you to set up more for the backup. You can add a comment, make a compress, and so on. “Schedule” is for you to set up an automatic backup. Here you can choose to do a full backup, or incremental/differential backup, and you can set up how frequently to backup as daily, weekly, monthly, event trigger. “Scheme” enables you to manage your disk space before starting.